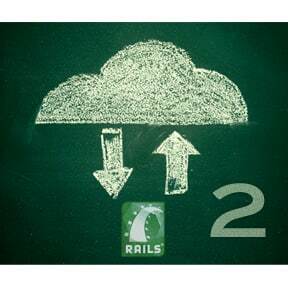 In a previous post we've shown how you can easily manage your Ruby on Rails image uploads with CarrierWave and Cloudinary. Many of our Rails readers found this very useful, as it depicted a powerful image management solution that is trivial to integrate - use the popular CarrierWave GEM together with the Cloudinary GEM, add a single 'include' line to your code and that's it. All your images are automatically uploaded to the cloud and delivered through a fast CDN. Better yet, all image transformations defined in your CarrierWave uploader class are generated in the cloud by Cloudinary. No need to install and setup any image processing library (goodbye RMagick, ImageMagick, GraphicsMagick, MiniMagick, etc.). You also don't need to worry any more about CPU power, storage space, image syncing between multiple servers, backup and scale. In this post, we wanted to show how you can use all of Cloudinary's additional cool image management and manipulation features together with CarrierWave - apply effects and filters, face detection based cropping, JPG quality modification, adding watermarks and more. Cloudinary's plugin for CarrierWave supports all of CarrierWave's standard resize and cropping capabilities. In addition, you can apply any custom transformation supported by Cloudinary by using the cloudinary_transformation method. You can call cloudinary_transformation in conjunction with the standard resize and crop methods. # round corners with a 20-pixel radius and increase brightness by 30%. You can take this further by applying chained transformations. Any set of transformations can be applied as an incoming transformation while uploading or as part of the different versions that are generated lazily or eagerly during upload. The following uploader class includes chained transformations applied using the transformation parameter of the cloudinary_transformation method. # add a 30-pixel watermark 5 pixels from the south east corner. # rotate the resulting image by 10 degrees. Some websites have a graphic design that forces them to display the same images in many different dimensions. Formally defining multiple uploader's versions might become cumbersome. In this case, you can still utilize CarrierWave while leveraging Cloudinary's dynamic transformations by applying any desired transformation while building your view. Any version can be generated dynamically from your view without depending on CarrierWave versions. Simply use the full_public_id attribute with cl_image_tag to build cloud-based transformation URLs for the uploaded images attached to your model. If you allow your users to manually select their images cropping areas, we recommend you keep these crop coordinates persistently in your model. This way you'll be able to crop the original images differently in the future. The following uploader class fetches the custom coordinates from attributes of the model object. The custom_crop method in this example simply returns a Hash of additional Cloudinary transformation parameters to apply. If you want to store only the cropped version of the image, you can use the incoming transformation of Cloudinary's upload API. This way only the cropped image is stored in the cloud. You can then use additional transformations to resize the cropped image. The following example calls process :custom_crop in the class itself, instead of in a 'version', while the custom-coordinates are kept as transient attributes on the model (defined with attr) instead of storing them persistently. Cloudinary supports uploading private images to the cloud. These images won't be accessible to your users. See our blog post for more details. Together with the Strict Transformations feature, you can specify that only certain transformations (e.g., low resolution thumbnails, watermarked images) are available for your users. For uploading images as private, simply add 'make_private' to your uploader class. This will also make all generated delivery URLs to access the private images correctly. The versions you define in your uploader class should use only named or dynamic transformations marked as Allowed. Alternatively, you can tell Cloudinary to eagerly generate all transformed versions while uploading. This way you can keep all your transformations as strict (disallowed). If you are a Ruby on Rails developer, you should definitely consider using CarrierWave (if you haven't done so already). Together with Cloudinary you can reach a powerful image management, manipulation and delivery solution with almost zero efforts and code changes. If you're looking for a CarrierWave alternative, make sure you check out the brand new Attachinary Ruby GEM. Attachinary provides a modern image attachment solution to your Rails application while employing Cloudinary for cloud-based storage, image transformations and delivery. Read more about it here. We've mentioned 'Ruby on Rails' quite a lot, though both CarrierWave and the Cloudinary plugin support a standard ActiveRecord model as well as a Mongoid model. In addition, some of our customers use this solution for their non-Rails frameworks, such as Sinatra. For more details, see our documentation. If you have additional thoughts on how we can make your life easier when managing images and attachments in your Rails applications, make sure you tell us about them. If you don't have a Cloudinary account already, you can sign up for a free account in seconds.